Is Your Accounting or Tech Job at Risk of Being Automated? As artificial intelligence (AI) becomes more capable, more employees will see a portion of their duties shifted over to technology-based solutions. Not only can machines be more cost-effective in many ways, but they may also achieve higher accuracy levels, leaving many accountants and tech professionals wondering how their jobs will change in the future. While automation is guaranteed to impact the accounting and tech sectors, that doesn’t mean people aren’t a necessary part of the equation. If you are wondering whether your position could be changed – or even eliminated – by technology, here’s what you need to know. Realistically, tasks are more likely to be outsourced to AI than complete jobs. Companies are frequently using technology to remove repetitive, tedious duties from the hands of employees. While this can lead to eliminating a portion of the workload, it also means their staff can instead concentrate on activities that routinely require a human touch. For example, chatbots create a method for customer interactions that involves common questions with proven solutions. For instance, a tech support chatbot can walk a person through standard troubleshooting steps. What Accounting Tasks Could AI Replace? AI can free accountants to take on more complex tasks, leaving simple, repetitive accounting processes to AI to increase operational efficiency and reduce costs. Accountants won’t have to copy data from a spreadsheet into different systems, giving them a chance to concentrate on other tasks. Many simple tasks associated with accounts payable/receivable processing, procurement and supplier onboarding and audits can be automated without sacrificing quality. What IT Tasks Could AI Replace? IT managers and systems analysts may be able to automate low-level tasks and requests thanks to tools like chatbots, leaving more time to focus on value-adding projects. Most AI systems are designed to handle tasks of a specific nature. For example, they may be able to take an account’s data from one program and copy it into another, search through large stores of information to find patterns, or identify anomalies in a system in real-time. AI will also create jobs in IT in areas such as cybersecurity, cloud, big data, and machine learning. Is Your Work at Risk? Certain highly-predictable and repetitive roles may be at risk as automation becomes more present in the workplace. However, many accountants and tech professionals don’t fall into that category. If you interact with customers throughout the day and assist with more than basic questions, you are an essential part of the team. Technology falls short when it comes to things like abstract problem-solving and emotional intelligence, so dealing with complicated issues is usually outside of the system’s capabilities. Creativity and emotion are two things AI can’t accurately replicate. How Can You Protect Your Job Against the Rise of AI? Individuals who embrace rather than avoid AI are the ones who will succeed the coming technological revolution. AI will always need some degree of human oversight, so familiarizing yourself with the latest innovation can make you indispensable. Make an effort to understand how AI works and how it can be s applied your industry. Read books and articles, attend conferences and take online course and webinars to learn about AI and its applications to your business. Ultimately, if you are concerned an AI-based tool could replace you, you do have the ability to avoid that scenario. For example, acquiring skills that can’t be performed by robots can assist with job security. Additionally, furthering your education can help as many upper-level roles aren’t targeted by automation due to their complexity. Tech professionals can buffer themselves further by learning to work with automation on a technical level. AI has to be programmed, implemented and maintained, and the IT employees who can handle these tasks won’t be threatened for the foreseeable future. While automation isn’t going to eliminate most workers at this time, it is likely your daily duties may shift once an AI tool makes its way into your workplace. You might not have to do the repetitive tasks that may feel tedious and have time to focus on more engaging tasks instead. 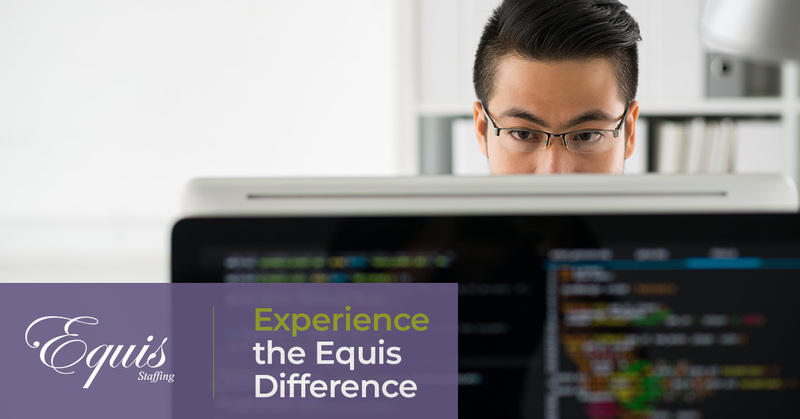 If you are interested in finding employees to assist in automation for your the accounting or tech teams, the professionals at Equis Staffing can help. Contact us to discuss your questions with one of our team members today and see how our expertise can benefit you.